The big day has arrived. The venue is decorated. The food has been ordered. And even as the photographer, you’re excited for all the moments, big and small, that the day will entail. But how can you be sure to capture these moments to last forever? When it comes to the wedding day, an iPhone camera or an underwater disposable will not suffice. For this once in a lifetime opportunity, you want to be sure to have photos that look great and that will last forever. Whether the wedding is during the day or at night, inside or outside, lighting makes a big difference in the quality of your photos of the wedding. And on such an important day, you don’t want to be messing around with trying to figure out lighting when you should be photographing the special day. 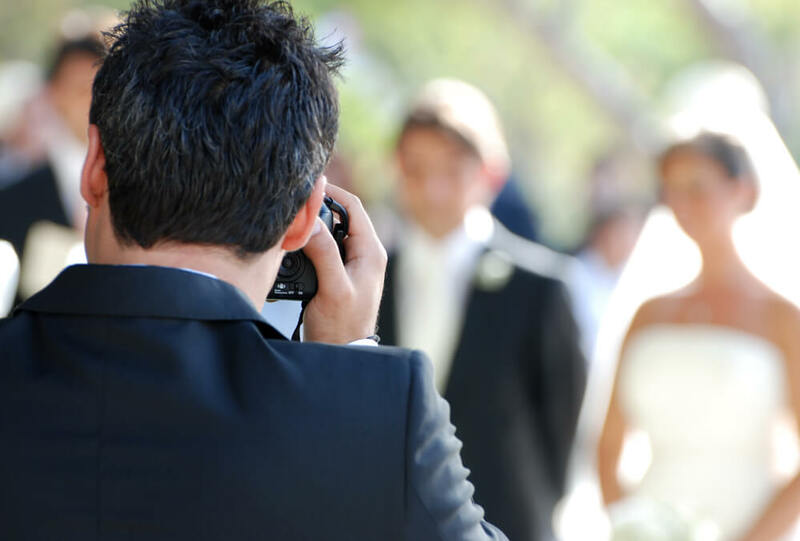 River and Me Wedding Co, a professional Gold Coast wedding photographer, has shared six things you should know about choosing the best settings for your wedding photographs. One of the key components for getting great photos is managing the ISO. ISO stands for International Standards Organization. The ISO settings are based on sensitivity to light. 100 ISO refers to low sensitivity to emulsion based film. The highest sensitivity to light is up to 1600 ISO. You can adjust the ISO settings easily on your camera based on what situation you find yourself in. In addition to other settings, ISO is something you need to pay attention to in your work of photographing the wedding. As a photographer, you know that your camera is your most important tool in capturing the big day. So, before you even get to the big day, choose a camera that you know how to use or can easily learn. Whether you choose to go with automatic or manual in your photo shoots, you should know how to properly operate your camera. There are benefits to keeping your camera set on automatic. However, you may be able to discover new options by switching to manual. If you’re working in a venue you haven’t worked at before, you may need to do some trial and error in figuring out which ISO setting is best for your shots. An article from ISO 500px notes that it’s okay to play around with settings on your camera before the big event. They suggest to crank up the ISO and see what it looks like. Then, try turning the ISO way down and compare the images. One of the key settings you’ll need to play around with is the focus of the camera. You may need to plan out and strategize what focal point your shot should take. Some cameras pick the focal point for you. However, for more artsy photos, you may choose to focus on different areas rather than what the auto focus on your camera picks up. An article from Mark Hauge at Digital Photography School notes that in low light, cameras can have trouble getting the focal point. In such cases, they suggest setting your camera to a single point autofocus. This allows you to get the focus you want without missing that important shot. Many photographers suggest staying within a small range for ISO. The maximum ISO depends on the type of photos the client wants and what kind of venue you are working in. Incorporating important factors like natural or artificial light will come into play as you decide which ISO to go with. Some clients request that you don’t use a flash in photos, which will also be a factor in the settings you select. One of the best ways to feel confident about the photos you take for the wedding is to visit the venue. Notice the types of light that are available. Are the areas mostly lit by artificial light? Or are there many areas of natural sunlight that come streaming in? It’s also helpful to visit the venue during the time of day the wedding will be. If the wedding is in the evening, check out what kind of light sources there are. Knowing this ahead of time will help you make any necessary modifications. This preparation will prevent you from scrambling on the big day. Envira Gallery points out that there is a big difference between natural sunlight and artificial light. This influences the lens and settings you select for your camera. Pay attention to these little details as you prepare to capture some of the most important moments in someone’s life. While there’s so much to think about when it comes to the wedding day, the photos and settings on a camera are very important details. Before the big day, be sure you are confident in what you can expect from the wedding environment. Get ready to capture photos that will be treasured forever.